Bajaj Auto, Indian Automobile maker has launched the very-anticipated Pulsar RS200 motorcycle in the Indian market a few weeks back. Soon after revealing details on Pulsar RS200, the bike is creating tremendous waves since then. Pulsar RS200 has been launched in 2 variants – ABS and non-ABS, Pulsar RS200 is competing head-on with Hero Karizma ZMR and KTM Duke 200. 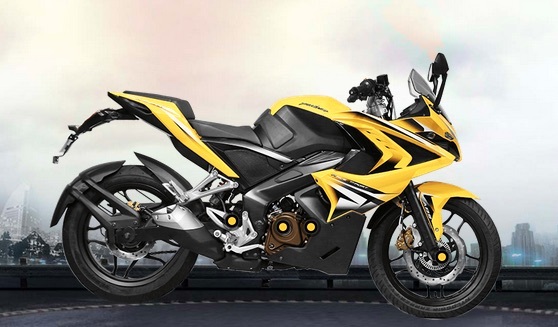 There has been a great discussion on the engine of this motorcycle, however two-wheeler experts think that Bajaj Pulsar RS200 ’s design will play a great role in its journey towards success. Let us have a deeper look at design and appearance aspects of the bike. 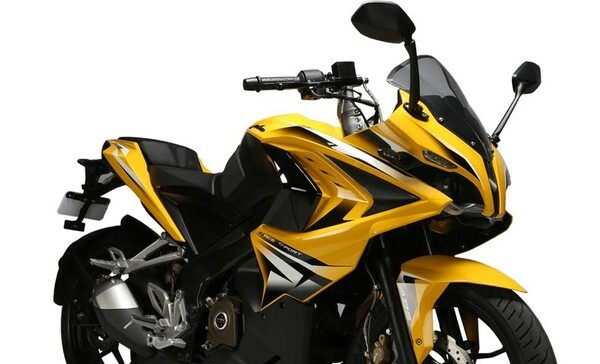 A very important feature when it comes to the appearance of Bajaj Pulsar RS200 is its front portion, which consists of twin projector headlamps with HD focus. The headlamps with HD Focus help in clear, greater and better visibility in dark and low-light conditions. The front portion of Bajaj Pulsar RS200 is stylish, the same way even its rear looks pretty stylish due to presence of high intensity tail lamps which makes the bike look very sharp as well as attractive. Even though RS200 could be categorised as a sports bike, when you consider the overall framework of Bajaj Pulsar RS200, it looks very muscular. Highlights of the RS200 are the stylish full fairing, intrinsic cuts and muscular appearance. Bajaj Pulsar RS200 bike is not only a well-designed and good looking motorcycle but also aerodynamically efficient that helps in good performance. All in all, Pulsar RS200 is a stylish, good looking vehicle loaded with great features. Though the bike has to hit the market to check the reality of bike, the first impressions of bike are fairly good.